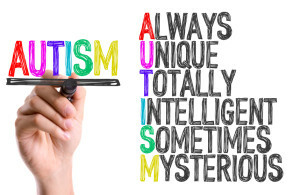 Do You Think That Your Child May Have Autism or Asperger’s? Does your child seem to avoid other children and struggle with social interaction? Is it difficult to get your child to look up when you say things to him, or is it difficult to get him to look at you? Have you noticed that your child says inappropriate things and speaks oddly or not at all? Is your child fixated on a certain thing, such as a particular character, subject or idea? Does your child get upset at the slightest change in routine and/or small touches and sounds? Do you wish you knew what was going on with your child so you could help him or her feel better and function with greater ease? Are you or your pediatrician worried about your child’s delay in reaching developmental milestones, such as saying first words, using phrases or toilet training? Fixations, late speech development and the inability to pick up on or care about social cues are some of the most common symptoms of autism and Asperger’s disorders. Maybe you have noticed that your child doesn’t react or respond to signs that other people are upset. Your child may avoid other interactions, but cling to you and grow upset when asked to go to daycare or school. Perhaps your child also grows extremely agitated when you attempt to separate him or her from a certain toy or game, even if he or she has been using it for hours. Your child might express his or her discomfort or annoyance by rocking or hand flapping rather than speaking with you. When your child does communicate with you and others, he or she might only talk about a certain fixation or intense interest. Maybe you noticed these behaviors before, but you hoped that your child would grow out of them. Perhaps a teacher or a pediatrician has told you that your child seems to be struggling with a developmental delay. You might dread a diagnosis and feel plagued by guilt, as though you did something to cause these symptoms. You may feel worried and sad for your child and wonder how you can help him or her have the most fulfilling life possible. If you are worried that your child may have autism or Asperger’s, you are not alone. Today, 1 in 68 children (and 1 in 42 boys) have been diagnosed with autism spectrum disorders. Even today, we don’t know everything about how autism and Asperger’s function. But, we do know that nothing a parent does can cause these disorders. You need not feel guilty or responsible for your child’s symptoms, but you can learn to help them manage symptoms and improve social interaction by your involvement in their treatment. Having autism or Asperger’s is a completely different way of viewing the world. I often ask parents to imagine that they have suddenly been dropped off in Paris, with no map, unable to speak the language, and with no guide or friend to help. You would eventually pick up some of the language and be able to function minimally, but without help, you would still find it very difficult to go about your day to day activities. If you had a native speaker who was an expert in helping foreigners learn to live in Paris, who could help teach you the language and the culture, you would learn to function better and more quickly. Thankfully, there are specialized treatments and services that can help you and your child translate between the world of autism and the neurotypical (term for people who don’t have autism or Asperger’s) world. I have six years of experience in diagnosing autism spectrum disorders and working closely with families affected by them. By working with someone who understands autism and your child’s worldview, you can begin to better understand your child’s needs and behaviors. You will not be in it alone. I use a collaborative team approach to autism treatment and call on speech therapists, occupational therapists, and other services/agencies as needed. Getting a good diagnosis is the first key step to developing your child’s unique treatment plan. If your child is exhibiting challenging behavioral problems, such as tantrums and “melt-downs,” I will help him or her learn other, healthier ways to self-regulate and self-soothe when things feel overwhelming. In sessions, I will help you practice holding conversations with your child so that he or she can develop the building blocks of communication, such as eye contact, attentive listening and how to respond appropriately to cues. I will also help you to notice and reinforce these social behaviors in your child (increasing the likelihood that your child will use these behaviors). As I work with your child, you can also learn a variety of techniques to help your child translate between his or her worldview and the world he or she has to live in. I specialize in autism treatment, and I am highly trained to administer two gold-standard evaluation tools: the Autism Diagnostic Observation System (ADOS) and the Autism Diagnostic Interview, Revised (ADI-R). In addition to diagnosis and autism treatment, I can also assist your family as you navigate advocating for insurance coverage (particularly if your child is on Quest) and services for your child. For example, I have experience working with families to help them advocate for the services that should be provided in the school setting, including providing individualized treatment recommendations that can be implemented in the classroom. I also have a relationship with West Hawaii Community Health Center, so I can work with you even if you live on the west side of the island. A note on the importance of early intervention in the treatment of autism spectrum disorders: I once worked with two teenage boys diagnosed with autism in a teen social skills group. One boy had access to early intervention and had been getting treatment for autism for most of his life; the other unfortunately was not diagnosed until his teen years. After a just few meetings, the second boy began to ask why the first was even in the group – he didn’t seem to exhibit the symptoms of autism (at least noticeably to the other teen). Though the first boy did have an autism diagnosis and trained professionals could still see some of the indicators of the disorder, in general, people could not tell that he carried this diagnosis. Early intervention can have an enormous impact on your child’s life. It is possible for your child to learn social skills and how to function in the neurotypical world. Along with higher cognitive functioning and interest in interacting with peers, early intervention is one of the predictors of better outcomes. I just don’t want to hear the diagnosis. It can be very difficult to hear that your child is struggling with an autism spectrum disorder. You may be scared and worried about your child’s lifelong happiness and success. But, proper diagnosis is the key to getting your child the best possible help. The earlier your child receives a diagnosis and treatment, the more easily he or she can learn and grow. I will be with you to offer support as you grieve, and you can share your thoughts and worries without fear of judgment. Can’t I just change his or her diet or remove some toxin from the environment? While many factors, including diet and environment changes, can certainly be helpful for certain children, they are not a complete answer. It is a good idea to work with an expert who can help you see what works for your child and what doesn’t. Although you know your child, I will be able to identify and target a range of autistic behaviors (as every individual has a different set of challenges). I will develop and individualized treatment plan that will address your child’s specific needs. And, I can work directly with your child’s school to advocate for needed services. Can my child take medication instead of attending autism treatment? There is no medication that cures autism. However, many children with autism spectrum disorders also struggled with anxiety or behavioral issues. Learning social skills is an enormous part of treatment, and sometimes, anxiety or other issues can prevent kids from trying to be social outside of the home. If anxiety or other issues are impacting your child’s ability to respond to treatment, we can talk about possibly referring your child for medications to address these additional problems. If you think your child may have autism or Asperger’s, I can be there for you to offer support, advocacy and vital tools and techniques. I can also help with initial diagnosis and development of an individualized treatment plan. Your child can learn how to navigate the world with greater ease. I invite you to call (808) 747 3445 for a free 15-20-minute phone consultation to ask any questions you may have about autism treatment and my practice.